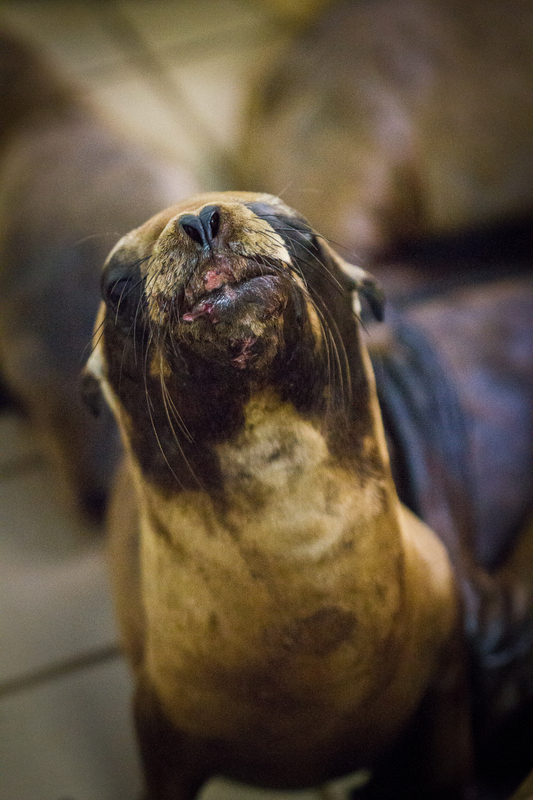 Starvation might be the only problem the sea lion pups are facing. Many also have abscesses and open sores on their faces and bodies. "It makes me sad when I keep thinking they're just babies," says rescue volunteer Priscilla Salazar. "They're like puppies, and they all have abscesses everywhere."